Backyard chickens are permitted in single family residential zones in West Vancouver after a new bylaw was approved on April 4, 2016. 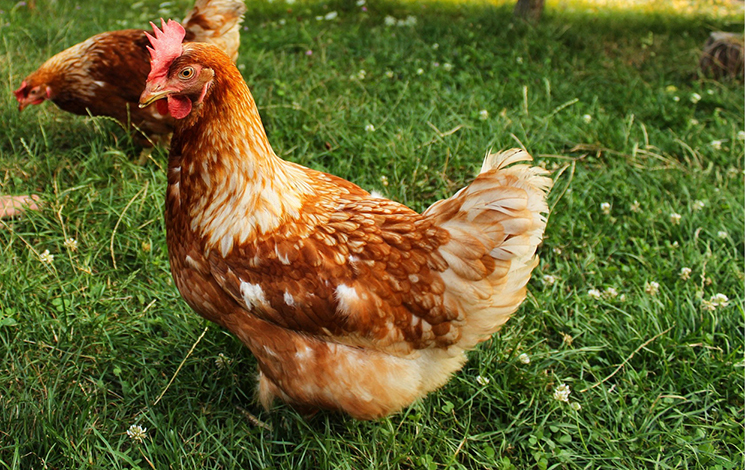 If you’re thinking about having backyard chickens, please read the guidelines and learn more. Having backyard chickens requires responsible care of the chickens and increased awareness of your role as a good neighbour. Why are backyard chickens allowed? As a result of requests from the public, keeping backyard chickens was approved by Council on April 4, 2016. Urban agriculture is supported by the Official Community Plan and backyard chickens can provide benefits including improving food security and contributing to a sustainable food system. While staff carefully considered all factors such as public health concerns and wildlife attractant issues, allowing backyard chickens is in line with the North Shore Community Food Charter and the growing interest in keeping backyard chickens. The Zoning Bylaw regulates property use and structure siting a chicken coop is considered to be an accessory building, so amendments have been made to Section 130 of the Zoning Bylaw regarding size restrictions and locations for chicken coops and runs. Contact Bylaw & Licensing Services to register. Having backyard chickens requires having a chicken enclosure which is made up of a chicken coop and chicken run (you need both). A chicken coop keeps chickens protected from the elements and safe from predators such as bears and cougars. A chicken run allows chickens access to the outdoors and fresh air while still providing some protection. Providing windows and vents near the ceiling of the coop will help supply oxygen and dissipate heat, remove moisture and harmful gasses and dust particles. Natural light from windows and/or skylights should be provided. The minimum light intensity you should provide is enough to clearly see the chickens feed. The enclosure can be purchased ready-made or built from scratch. Keep the size requirements and restrictions in mind when purchasing or building a coop. Examples of chicken enclosures and sample designs are available online with tips on what to consider when choosing the right enclosure. Your enclosure design should take into account the considerable rainfall and hot summer sun we get here in West Vancouver. Consider the sun’s angle in the sky throughout the year and provided shade in the summer and sunlight in the winter. Keeping chickens dry and free from drafts is very important. Chickens should be cared for twice daily. They wake up with the sunrise and retire to the coop at dusk. In the morning, open up the coop to let them into the run making sure sufficient food and water are provided for the day. In the evening, make sure all chickens are securely locked inside the coop. This will protect them from the elements, from predators and reduce impacts. During vacations and weekends away, you will have to schedule someone reliable to attend to the chickens. Chickens need other chickens to be happy and healthy. Plan to have at least two—they are a flock animal and need other chickens. Three to four compatible chickens can be well maintained and will provide enough eggs for a family of four. Consider staggering the ages of your flock. This will provide the benefit of having egg laying hens for a longer period of time. Roosters are not permitted in West Vancouver. You do not need a rooster for your chickens to lay eggs. An individual bird’s age and temperament can affect compatibility. Separate areas should be provided for incompatible birds. With multiple birds, chickens will naturally establish a pecking order. Feeders should be made of non-corrosive material that is easily cleaned and minimizes spillage, prevents contamination with droppings and keeps food dry. The container should be large enough for all chickens to comfortably eat at once to prevent competition or intimidation. Food is available at most pet supply shops and agricultural supplies stores. Chickens also need grit to break down their food. You will need to also provide grit (a crushed stone) and some sand. Watering containers should be positioned higher than the feeder and far enough away to prevent food contamination. Locate a veterinary clinic nearby that will see chickens before one is needed. Chickens are welcome in many clinics, but it’s important to check first. Your role as an owner of backyard chickens is to maintain a healthy level of hygiene in the enclosure every day. Manure and wet bedding should be removed from enclosure daily. Monitoring the level of cleanliness on a daily basis is important to reducing odours, keeping chickens healthy and keeping neighbours happy. Keep food stored in rodent and wildlife-proof containers and remove spilled or uneaten food promptly. Litter can be removed or composted. Chickens need to take dust baths to clean their feathers. They usually dig their own hole for dust baths. Providing opportunity for dust bathing is important. Provide a perch at least 15 cm long per chicken and at least one nest box per coop. Chickens prefer wooden nest boxes with a covered opening for privacy placed on or as low to the floor as possible. They should be filled with 2-4 inches of straw, litter or grass. This resource list is provided impartially, for convenience only.